Steam's January 2013 hardware and software survey results are out. And OS market share on Steam is already showing signs of changes. 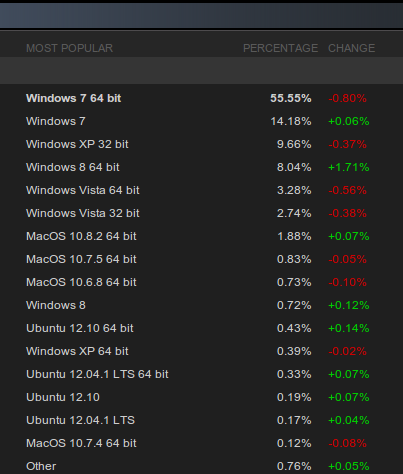 Barely two months old Ubuntu on Steam has grabbed more than 1 percent market share with almost non-existent marketing push from Canonical (VALVE did some advertising though). Signs of big shifts to come? We'll see.